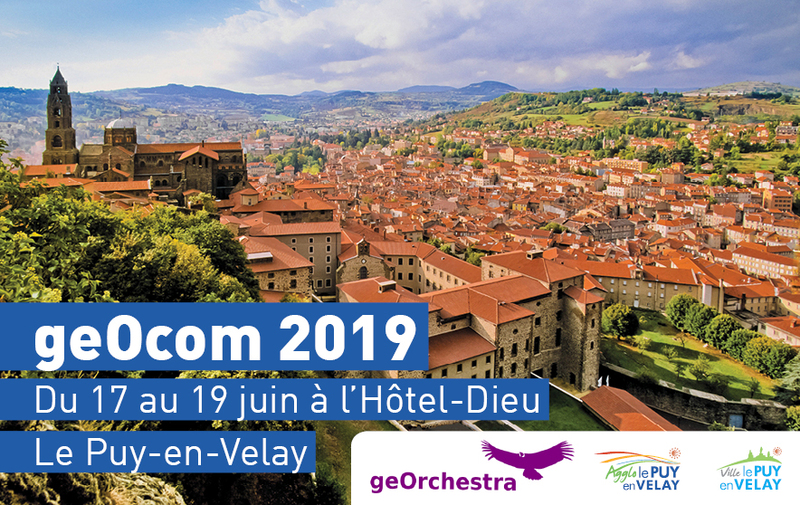 City and agglomeration community of Le Puy-en-Velay will host the 2019 geOcom by 17 18 and 19 of june 2019. The geOrchestra community gathers every year at the “geOcom” event. This is a unique opportunity to discover new platforms, new players, current or future projects and build the roadmap for the upcoming releases. This event allows actors and newcomers to discover the community and its uses, issues in progress or to come, not to mention moments of conviviality and discovery of the region. The geOcom will be followed by two days of code and/or doc sprint, which allows to give a helping hand on top priority topics. The geOcom 2018 event will be hosted this year by the “Hauts-de-France” region, in France, on June 12th to 13th. Let’s meet in Amiens to share ideas, discuss upcoming changes or discover geOrchestra and its community ! The geOrchestra community invites you to participate in a code sprint at the end of November. The main theme will focus on the implementation of the SWE and SOS OGC standards as part of a simple viewer showing data from sensors. The secondary theme will be the standardized production of documentation for platform administrators and users. From monday 20 november noon to wednesday 22 noon. **GeoCom 2016**, the yearly meeting of the geOrchestra community will be held this year in Bordeaux from Monday 23 to Wednesday 25 May, in GIP ATGeRi’s premises. Precisely the venue will be at Cité Mondiale, in room Guyenne-Gascogne, Maison de la Forêt et de l’Agriculture, located at 6 parvis des Chartrons, Bordeaux. This event is free and we welcome everyone with an interest in spatial data infrastructures, geospatial data and metadata management, and a sharing spirit. Please register here: https://docs.google.com/forms/d/1kiQvrFYQXLBvfY3lvLta_Z-xoPoEqtRWoakqXPsAeGU/viewform ! full support for the newer Debian 8 “Jessie”, which means a longer life span for your server. standard GeoServer artifacts can be used instead of the “geOrchestra flavoured GeoServer”. Not only will this bring new features more quickly in, but this will also make your administrator more relax when a vulnerability is discovered in GeoServer. integration tests are run everytime new code is contributed to geOrchestra, thanks to the free travis-ci service. lighter artifacts. We achieved a 20 to 50% reduction of size by excluding useless documentation, examples and tests from the WAR file. This saves bandwidth (and time !) for those of you who pull the artifacts from our hosted CI. GeoCom2015, the yearly meeting of the geOrchestra will take place in Alsace in June, from Monday, 22/06 to Wednesday 24/06/2015. In line with this still-open survey, a provisional agenda is suggested. GeoCom2015, the yearly meeting of the geOrchestra community will be held in june in Alsace, France. Whether you are users, developers, SDI managers, or just interested, this is where we are loking forward to seeing you and together set geOrchestra’s roadmap and share experiences. The PSC is pleased to announce the immediate release of geOrchestra 14.12, 6th version since we’re producing release notes. We’re keeping the pace of a new version every 6 months (within few days) thanks to our developers’ tenacity and support from customer SDIs. This version seeks to be more intuitive for end-users and easier to integrate for administrators - an outcome of numerous reports and suggestions logged into the bugtracker (600 tickets since October 2012). An extensive and step-by-step install documentation is available as a companion for first-time installers. geOrchestra 14.06 is out ! This is essentially a maintenance version with some nice improvements. 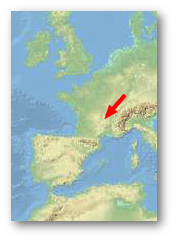 geOrchestra is currently migrating from GeoServer 2.3.2 (used since 13.06) to latest stable (at the time of writing) 2.5.1. Checkout our brand new geOrchestra website ! Based on free software (Jekyll), it features a mobile-friendly blog and static pages at the same place, with full multilingual content (English, French & Spanish). You can now register to the geOcom! The CRAIG, which hosts the event, has published an announcement and setup a registration form. Please register as soon as possible to help us plan the event. As you may know, the geOrchestra users & developers conference is coming very soon now ! We are very grateful to the CRAIG (Centre Régional Auvergnat de l'Information Géographique) for hosting the conference, which will take place in Clermont-Ferrand, France, on June the 19th and 20th. The geOrchestra community are pleased to announce the immediate release of version 14.01. Since the June 2013 release 151 evolutions took place, emphasising on stability, analysis, and data sharing. The Project Steering Committee of geOrchestra is proud to announce the release of geOrchestra 13.09. In this sixth release you will find a number of new features, improvements and corrections. geOrchestra 13.09 is available at http://sdi.georchestra.org/. We have a dedicated demo site ! https://sdi.georchestra.org/ will publish modules builds on a regular basis to review and test the new features. We are using https://sdi.georchestra.org/ci/ continuous integration with Jenkins to maintain a local repository, to build and deploy the modules and to perform scheduled tasks. The 8-cores server is operated by the PSC members. The PSC is pleased to announce the release of geOrchestra 12.11 (aka 'Bolivia' ) with 11 bugs fixed and 21 improvements since the previous one. This release will receive bug fixes until the next stable one will be out, which is planned for the end of February. This release was mainly supported by the geOrchestra community. Thanks to all contributors ! The geOrchestra project is now hosted on GitHub. This migration required a lot of work from our community. Following the internationalization of the viewer and extractor modules, this move will facilitate contributions.